This week your challenge is to take and share a photo on the theme of ‘After Dark’. The only rule is that your photo has to be taken after the sun sets – so anything from Dusk to Dawn goes! You can make it a portrait with some artificial lighting, some light painting, a cityscape of a night skyline, light trails, Fireworks, a candle light shot, star trails, shots of the moon …. really anything goes. Once you’ve taken your ‘After Dark’ Images – choose your best 1-2, upload them to your favourite photo sharing site and either share a link to them or – embed them in the comments using the our new tool to do so. If you tag your photos on Flickr, Instagram, Twitter or other sites with Tagging tag them as #DPSNIGHT to help others find them. Linking back to this page might also help others know what you’re doing so that they can share in the fun. Also – don’t forget to check out some of the great shots posted in last weeks Treasures challenge. Colours a bit wishy washy - how do I improve that please? Hand-held as didn't have tripod. Thanks. This was taken in Lewes Harbor with my Nikon D7000. Night light in the snow. A photo I recently took of the National Gallery in London. Taken at night on a Nikon D5000. Painters displaying their artworks at the corner of a street in Chiangmai. Taken a few months back, but still my favorite after dark shot. These shots were taken from The Kwa-Zulu Natal Midlands, South Africa. This one is made up of 94 30seconds exposures stacked. Taken over a period of 1 hour. Here is one i took during the Vivid Sydney 2011. Night lights at Van Dusen Gardens in Vancouver, made of recycled material..
Two structures looking as one near Singapore WaterFront by night. 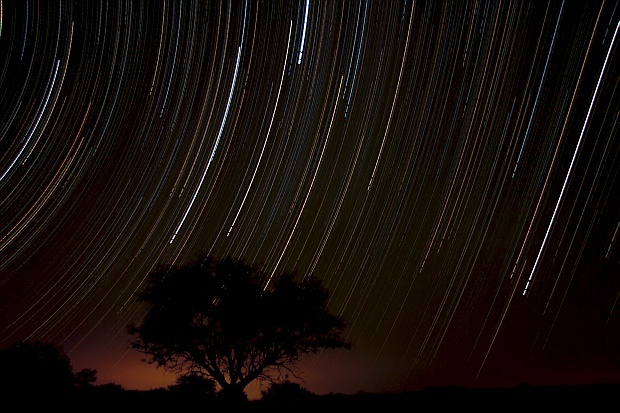 Star Trails from the middle of no where at Lochiel, Arizona. My first post..Picture taken in Daytona, Fl. Well, there are some masterpieces in the comments. I took my first night shot in Cape Town with my new canon XSI/450d and the 50mm F/1.8 II. We saw the sky change over Houtbay there that made me take the shot. My father in law was calling me stupid taking 25 shots to get to this one. He liked the result in the end tough :) For stabilisation I used a pillow. Not quite dusk, but beautiful none the less. My shot of Hong Kong city skyline after dark! My first challenge contribution. I'm so new to photography, this is actually my first attempt at a true night shot. Yeah, that's super new! I took this shot of the Port Of Felixstowe on a chilly November night. Where I live, sunset and sunrise are only about 3 hours apart. In a couple weeks, we wont have any sunrise or sunset at all (for a few days). Even after sunset there is still light - it really only looks like dusk until the sun rises again. I guess I won't be doing this challenge for a while! 30 second exposure of the altamont pass wind farm. taken around 9:30pm with nothing but the full moon to light up the night! New year's celebrations at Krabi, Thailand. Indecent mannequins at a night market. I guess things changed lol sorry about that! Some action in Yaletown, Vancouver at night outside a bar. one night at empty street..i shot the trail of light.. I was happy with it. Taken today in Verona, Italy. I was out for a walk on the beach this evening, got home and saw this week's challenge.. These are two of my favourites from a trip we did to Joshua Tree and along the California coast in a 78 Westfalia. One is a light painting of a tree with the night sky in the background the other a long exposure of the Westfalia at rest in one of the parks. This last one is a very minimalist after dark shot with an interesting feel. This is a green tree frog on my steps in the country on a moonless night. This photo was taken on the front steps of my house in pitch darkness, with the help of a little rechargeable torch that is decorated as a cow. I set up the tripod and shone the torch (its one where you have to charge it as you shine it because the batteries are kaput) on the frog while attempting to focus, and then shone the torch on the frog and around a bit during the ten second exposure. The frog was very accommodating. Here is a shot taken after sunset of the vibrant Gaslamp District in downtown San Diego, California. I used a long shutter speed to get some nice light trails from the traffic! Love night photography and hope too see others night photos. Taken at Porthtown, Cornwall at dusk there was a storm on its way. Love a bit of night photography!!! Check out this shoot taken over the course of an hour in the north west of ireland. How about "just before daylight?" scottc - I'm with you on Venice. In the middle of nowhere..